You’ve been to your consultation and to your delight you are a candidate for laser eye surgery. Laser eye surgery can be a truly liberating experience. If you’re ever in doubt, simply venture to the AVC Patient Testimonials Section to see how our experienced surgeons and cutting edge technology have changed people’s lives. Most laser eye companies have a decent brochure that will promise you everything under the sun. However, we’re talking about one of the most important aspects of your life – your vision. It is important to research and find a highly experienced surgeon who practices using the most sophisticated techniques and equipment. The fact is surgeons are not all the same, neither are laser eye surgery techniques and clinics. If you’re still in doubt about the importance of doing your research to find the right laser eye surgeon and clinic, a quick YouTube search for “laser eye surgery gone wrong” should certainly serve to motivate you. The quality of your future vision rests upon it. So, our first and most important tip is research, research and even more research. Discover more information about Advanced Vision Care’s world renowned surgeons and the recent Daily Express article about AVC’s Leading Surgical Techniques & Equipment. Dry eyes are not an uncommon phenomenon following LASIK laser eye surgery. While the condition is usually temporary, it can become a debilitating issue if the patient is not properly assessed prior to surgery. The science behind dryness has to do with the superficial nerve ends, located on the surface of the cornea. These need to regenerate and heal following LASIK surgery. After the procedure, the cornea becomes numb and struggles to facilitate tear production which can lead to the condition of dry eyes. The nerves can take between 6 to 12 weeks to regenerate and during this time, patients are most prone to dry eyes. Should the patient discover that the condition persists over the longer term, it is more likely caused by an underlying problem that had not been correctly diagnosed and treated prior to treatment thus highlighting the need for comprehensive pre-operative examinations. Following LASIK laser eye surgery, experiencing halos and glare in your vision can sometimes happen. The reason this happens after surgery is because fluid tends to form after the corneal adjustment, which causes light to diffract and creates the experience of halos when looking directly at light sources. After the fluid clears up, the halos subsequently disappear. However, some patients who have treatment with an inexperienced surgeon using inferior technology can develop permanent halos and poor night vision following treatment. This issue happens as a result of induced aberrations from lasers which have delivered small diameter zones of correction (or from inferior techniques that are not pure wave front in profile). Halos and glare are very rare if advanced wave front technology is used in the Lasik procedure which is the common practice at AVC. It further reinforces our first tip on choosing the very best LASIK surgeon and clinic – as these will directly impact on your surgical results and in turn your vision quality. While the risks of infection following laser eye surgery are small when expertly executed, there is always some infection risk from any surgery. There are various types of laser eye treatments and the risk of infection is smallest following the Advanced Wavefront Intralase LASIK procedure (as carried out by AVC). Even though no clinic can guarantee 100% protection against infection, using a pedigree clinic with experienced surgeons and comprehensive aftercare, such as AVC, will greatly minimise risks. 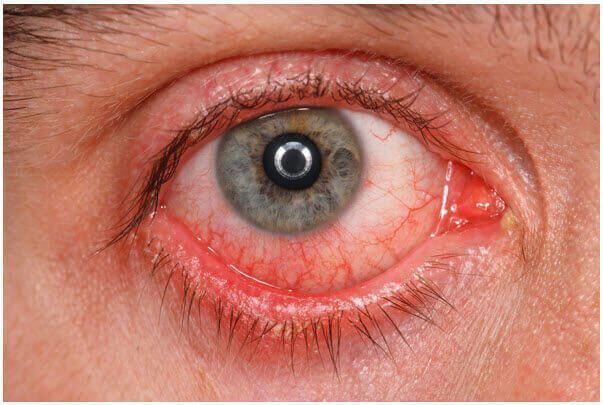 This condition occurs when the cornea becomes unstable following laser eye surgery. With Ectasia, the cornea becomes more elastic and forms a bulge. The overall effect is a deterioration in vision which will require the patient to wear glasses. Leading vision correction clinics such as Advanced Vision Care use highly sophisticated technology capable of corneal mapping, epithelial thickness mapping and biomechanical checks to help circumvent the risk of Ectasia. Hence it is very important that your consultation should be with an experience surgeon who can rule out any suspicious conditions where laser surgery is contraindicated. This is important to avoid ectasia. Moreover, AVC follows established international protocols and techniques and do not do any experimental procedures. Unlike other clinics who tend to do only laser for every patient, AVC provides alternative procedures like Implantable Contact Lenses and Lens Replacement for patients unsuitable for laser. Older technologies which employ a bladed microkeratome in the formation of the flap can cause flap complications. The most common of these are partial flaps, buttonholes and irregular fragmented flaps. Advanced Vision Care were one of the first UK vision correction clinics to adopt Intralase Wavefront laser, meaning blade-free lasers are used to create the flaps with the highest precision, thus avoiding flap irregularities. Why not contact one of our highly experienced and personable customer care advisors to talk about your situation. Call 020 7935 7494 TODAY or email info@advancedvisioncare.co.uk.